The URL trailing with the unwanted %e2%80%8e, is token of your defected copy and paste method. Here defected means, the copied words contains the special character or hidden space. Due to this, the URL becomes the ugly. Albeit, Our try to edit the URL from post page also fail to repair the URL. Then doubt arises here that where is the root of a problem? Enter value %e2%80%8e. 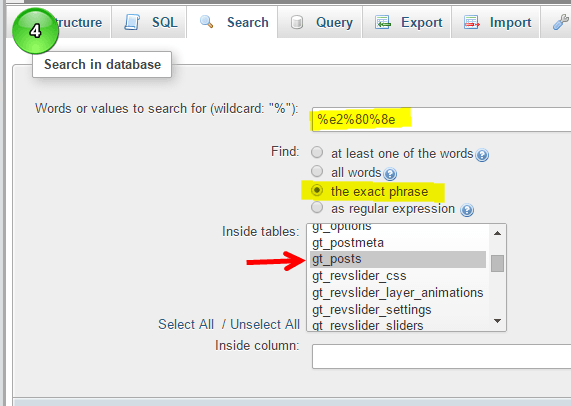 Select the exact phrase with table wp_post. Please note that the table name might be vary; however usually ends with the word post. Navigate toward post_name and remove the ugly content. 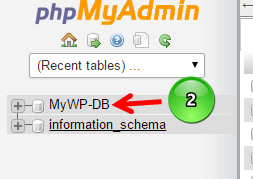 If you do not have access to PhpMyAdmin or cPanel for somewhat reason. 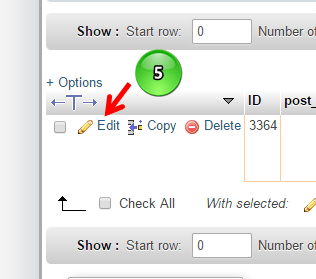 Or you might repaint the URL structure within WordPress admin panel. Then plugin is the ultimate solution to you. Simply, there are a lot of plugins available in WordPress plugin gallery for search and replace the database item. And yes, most of them comes free. I recommended following plugins. However, if you have another alternative then do not forget to share it in comments section. Hope it will help you get rid of from ugly URLs. Will come up with next trick, till then bye bye. so i have this problem yet it isn’t how i wrote the link and nothing shows up in phpmyadmin, so help…..
Give me that afftected URL. I will research..
Hi there everyone, it’s my first visit at this web site, and article is genuinely fruitful for me, keep up posting these types of articles.